This was how it all started!!! My love of rugby is what started Happiness is Egg Shaped. I started playing at Galashiels Academy and love the ethos and spirit of this great game. 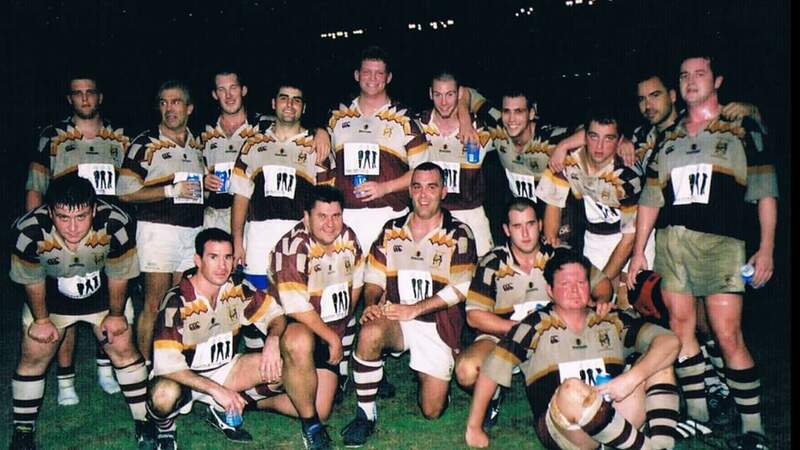 I have traveled and met some amazing people and shared unbelievable experiences, all thanks to rugby. 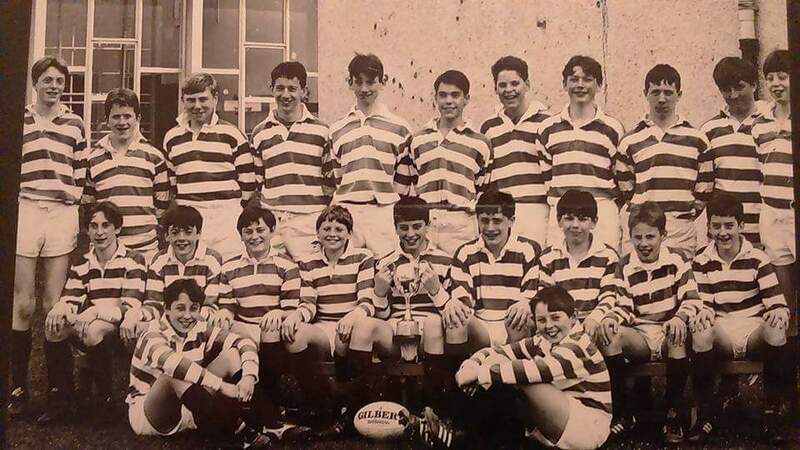 When I left school I played for Gala and Watsonians. I represented the South District, very proudly being made captain of the U21s and also played for Scotland at age group level. 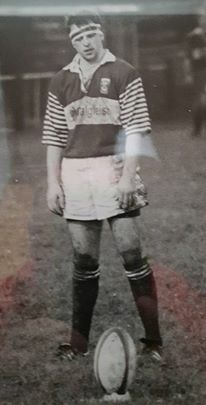 During University I went to New Zealand to play for Te Rapa RFC in Hamilton and to USA to play for Albany Knickbockers where I was made captain. I loved it all! 2 very different Rugby nations and communities, but both amazing! 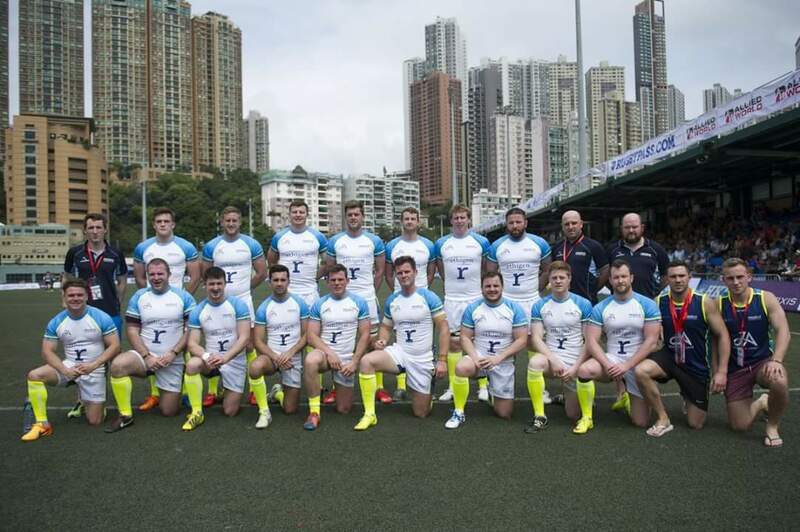 and loved playing a part in the development of the young men in the programme, many of them going on to represent Hong Kong at both 15s and 7s. 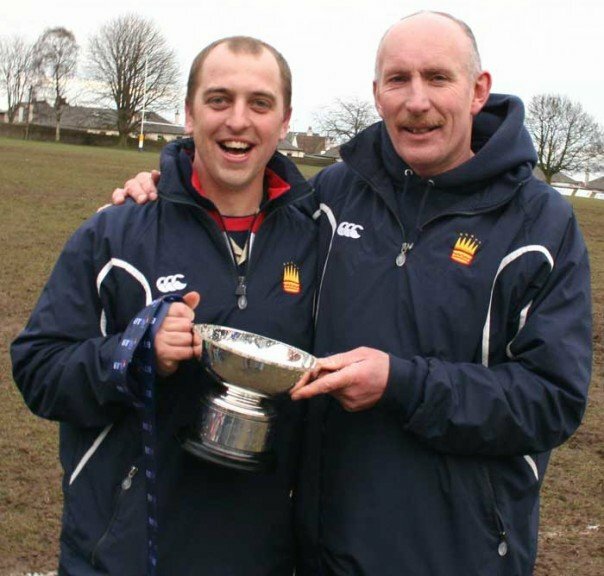 I returned to Scotland in 2005 and for 2 seasons was assistant coach to Ian Rankin at Dundee Rugby. This was an immense learning experience and winning Premier 2 and securing the position in Premier 1 made those 2 season memorable. I left Dundee to try to play again after an ACL reconstruction. It was frustrating and after a return visit to the surgeon I was told the op hadn’t been successful and would need to be redone. I decided to focus on coaching and return to training if my knee gave me a chance after the 2nd op. It didn’t happen. I joined Watsonians as assistant coach to Cammy Mather and then became Head Coach for 2 seasons. After taking a year out when Maisie was born I returned as Head Coach at Murrayfield Wanderers. After 2.5 years I was asked to become Head Coach at Boroughmuir Rugby in National 1. In the first season we won the league and gained promotion to the Premier Division. In season 2 we secured Premier status and won the Scottish Cup. In the third season we finished 5th in the League. 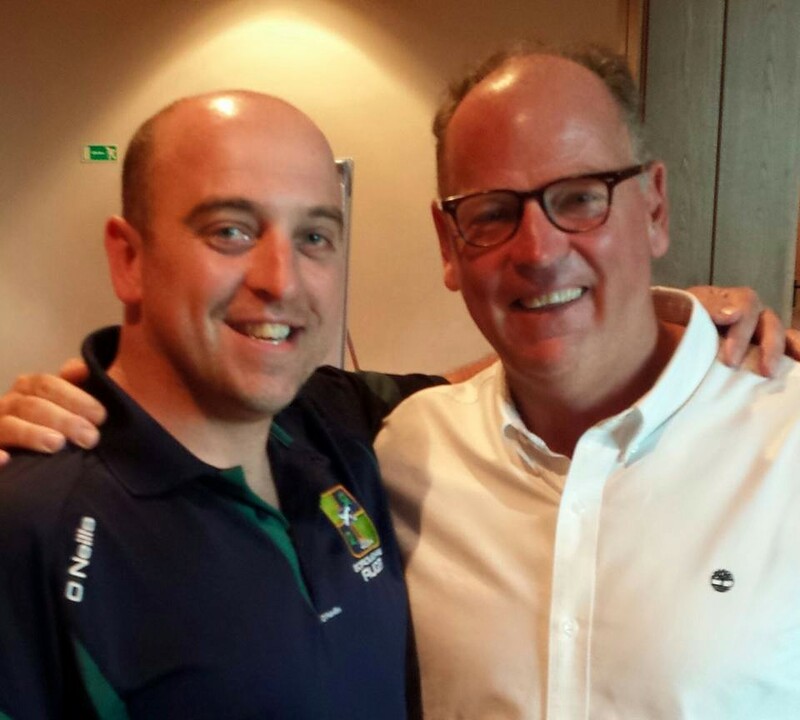 I was selected as 1 of 6 coaches to attend the 6 Nations Coaching Conference in Italy in June 2015 and gained a huge amount from the experience, learning from Gregor Townsend, Jake White and coaches from the other 5 nations. 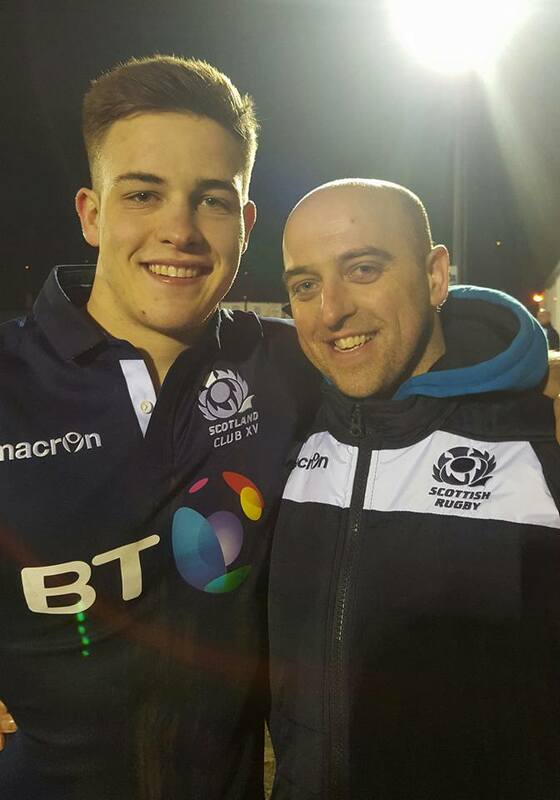 I am now the Head Coach back at Murrayfield Wanderers and cant wait to get started. Since 2009 I have been coach of the Cooptimist RFC, the Scottish Barbarians, Pigbarians Children’s Charity Team, Crusaders Men’s Cancer Charity team, Samurai Scottish and ProjectX Waterboys. I am always hugely proud to be asked to take the lead for these teams and approach the recruitment of players and preparation of the squads very seriously. I just love rugby! I enjoy being part of the Scottish Rugby Union Coach Education Workforce delivering on both the UKCC Level 1 and 2 courses. Coaching the coaches is a phenomenal honour and I love to be part of their development. It also gives me the opportunity to reflect on my own coaching and see ways to make improvements or approach things differently, after all, LEARNING NEVER STOPS! After years 32 years of playing rugby and a decision to step into a new youth coaching role I decided to take the first step properly and take the SRU Level 1 course. And with 32 years playing the game with some ad hoc coaching along the way I wasn’t honestly sure what I would learn that I didn’t already know. The Level 1 was a game changer for me. The coach educators in a short period managed to refocus, invigorate, motivate and add direction to what I thought was just going to be a box ticking weekend. Very quickly I remembered Rugby is a fun game but children need to be inspired to enjoy all that it can give them. And if done right the coaching can benefit them far beyond playing the game. That’s an amazing gift to have. The role of a youth/mini coach is an exciting opportunity to do some good. I can safely say the enthusiasm and encouraging mindset of Bruce Aitchison in his Coach Educator Role managed to awaken my love of playing the game that I had actually long forgotten about. Rugby is a great game for all. And coaching children rugby the right way can make magic happen. Keep up the good work Bruce. I love being a coach and working with other coaches, committee folk, physios, managers but most of all the players. I have coached international players and social players, young and old, male and female, ambitious and content and I enjoy working them out and trying to contribute to them as a player and a person. I have helped find house and flats, spoken to family and partners, helped with CVs and interview preparations, dealt with break ups and marriages and everything in between! Its all part of the role as a coach. And I love it all! Rugby is full of great people and it is an honour to be given opportunities to travel and experience various events near and far. I love it all and feel very grateful for the chances I have had. I relish the future and hope to use Happiness is Egg Shaped to share these experiences with others and encourage others to do the same!